We are the most trusted name amongst the topmost companies in this business, instrumental in presenting Operated Hydraulic Machine. We deal with offering a unique range of 'H' Type Or Fabricated 4-Column Type Press which is constructed from top quality raw materials. 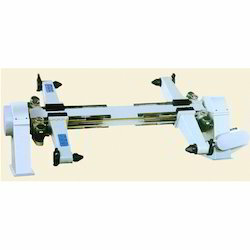 These presses ensure durability, strength and high performance and a guaranteed performance with efficiency & speed. With sturdy construction, corrosion resistance and good functionality these are widely used in various industrial sectors. Four Pillar Type Hydraulic Press that our organization engages in providing our customers with, scores high on various quality parameters. These high-grade products find wide application in blanking, punch riveting, coining, stamping, pressing power compacting and many more. 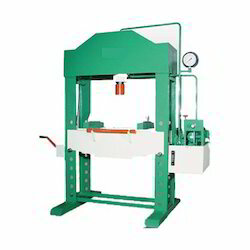 Limit switches/proximity switches or potentiometers & rotary encoders are used to preset the speed of these presses.